QUIZ: Which Member Of The Taylor Swift Squad Are You? 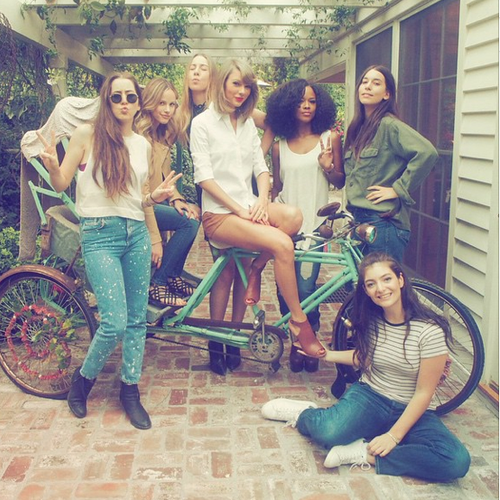 Everyone knows Taylor's got the BEST group of BFFs going, but which would YOU be out of her gang of gals? Taylor Swift has an ever-growing group of celeb pals that her fans have affectionately dubbed 'The Squad', and this group of ladies are pretty much as tight as they come. From super-model friends like Gigi Hadid, Kendall Jenner and Cara Delevingne to fellow pop stars like Ellie Goulding and Lorde, Taylor pretty much has a friend for EVERY occasion.